October 11, 2013, Red Sofa Reading Series launch at Indy Hall. Photo by Gralin Hughes. 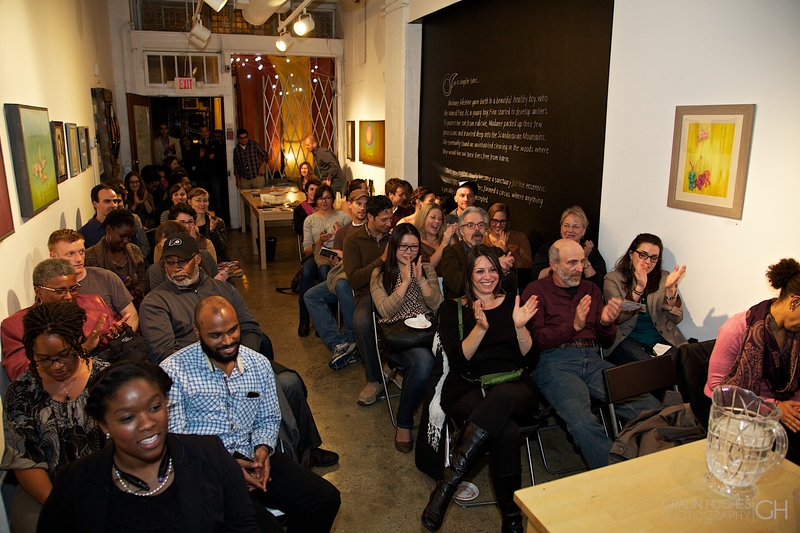 The Red Sofa Reading Series launched in October 2013 with the intention of creating a venue for sharing some of the best contemporary poetry and to help poets reach a wider audience in Philadelphia. Curator Hila Ratzabi views the Red Sofa Reading Series as an extension of her living room. Have a glass of wine and a snack, mingle with old and new friends, and sit back and listen to some poetry. The reading series takes place at the coworking space Indy Hall, a community of inspiring self-starters who love to work together. We invite you to take a seat at the next Red Sofa Reading and find a home in poetry. The Red Sofa Reading Series takes place roughly four times per year: twice in the fall and twice in the spring. All events are a partnership with Indy Hall Arts, a dynamic group of artists and creative folks who put on art exhibits, music events, and now poetry readings. Events are open to the public. 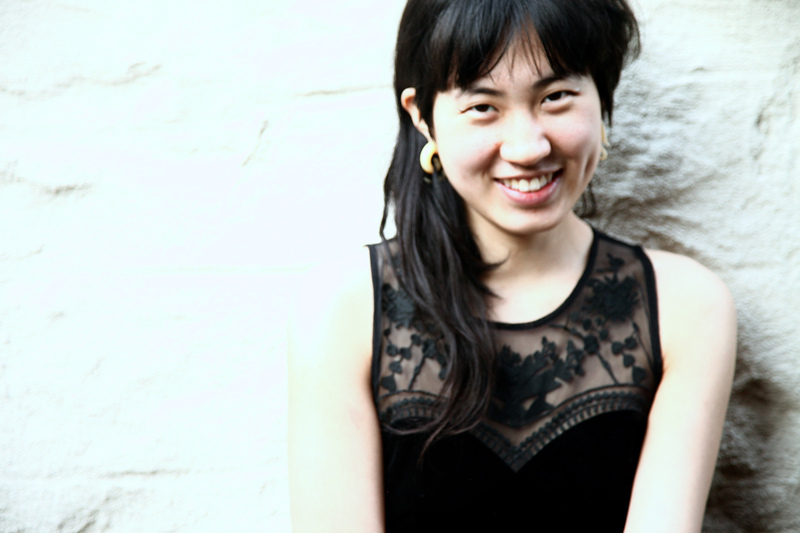 Jess X. Chen is a queer first generation Chinese-American poet, artist/activist, filmmaker, and educator. 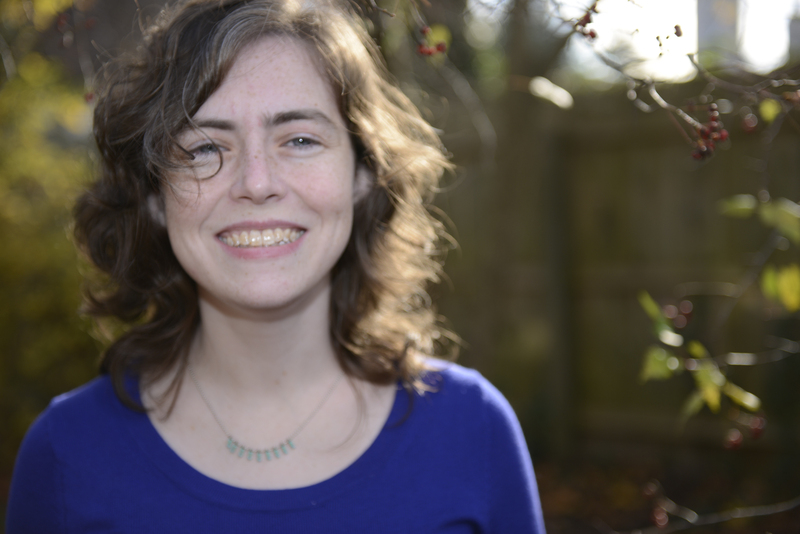 She is the author of poetry chapbook, From the Earthworm To The Night. A graduate of the Rhode Island School of Design, her work has been a part of Asian American Film Festival, Apogee, CURA, Muzzle, The Wingluke Museum, Vinyl Poetry, Yale Environmental Film Festival, and on three national tours of spoken word poetry. Her work intimately exposes narratives of ecological and colonial trauma, Asian-American diaspora and collective protest by connecting the violence between the female/colored body and the body of the Earth. 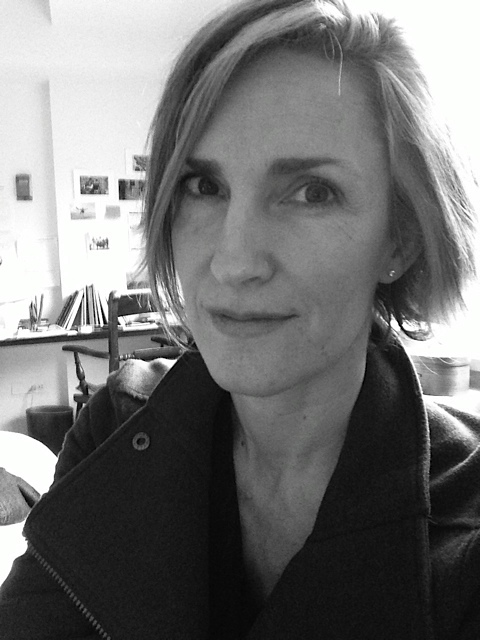 Elizabeth Onusko is the author of Portrait of the Future with Trapdoor, which received the Bryant-Lisembee Book Prize and was published by Red Paint Hill in April 2016. Her poems have recently appeared or are forthcoming in Witness, Best New Poets 2015, Conduit, DIAGRAM, Sixth Finch, andRedivider, among others. She is assistant editor of inter|rupture. Her website is elizabethonusko.com. Michelle Y. Burke is the author of the poetry collection Animal Purpose, winner of the 2015 Hollis Summers Poetry Prize, and the poetry chapbook Horse Loquela, winner of the 2007 Red Mountain Review Chapbook Series Award. Her poetry has appeared inPoetry, New Orleans Review, Hopkins Review, So to Speak, and elsewhere. 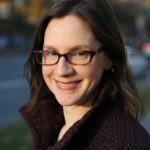 She has received two poetry prizes from the Dorothy Sargent Rosenberg Memorial Fund, a national poetry prize from the Cultural Center of Cape Cod, an award from the American Literary Review, and fellowships from the MacDowell Colony, the Vermont Studio Center, and the Charles Phelps Taft Research Center. 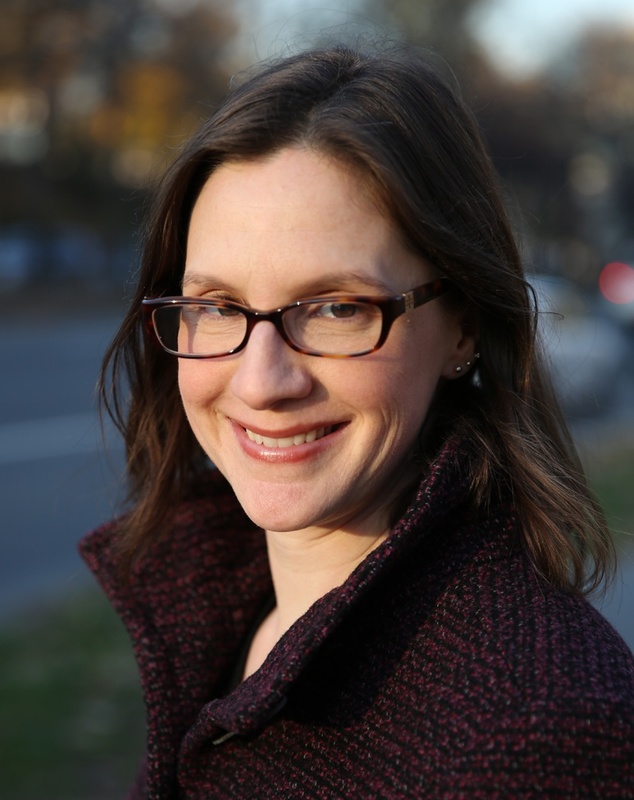 Lisa Sewell is the author of several books, including Impossible Object, which won the 2014 Tenth Gate Prize from The Word Works. 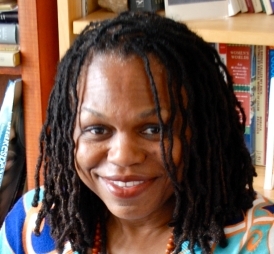 She is also co-editor, with Claudia Rankine, of American Poets in the 21st Century: The New Poetics (Wesleyan 2007) and Eleven More American Women Poets in the 21st Century: Poetics Across North America (Wesleyan 2012). 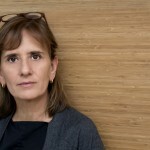 She has received grants and awards from the Leeway Foundation, The National Endowment for the Arts, the Pennsylvania Council on the Arts, and the Fine Arts Work Center at Provincetown, and held residencies at the Virginia Center for the Creative Arts, the MacDowell Colony, Yaddo, Fundacion Valparaiso and The Tyrone Guthrie Center. New work is appearing of forthcoming in Drunken Boat, Prairie Schooner, Crab Orchard Review, Salamander and Mead. She lives in Philadelphia and teaches at Villanova University. M. Nzadi Keita’s latest book, Brief Evidence of Heaven: Poems from the Life of Anna Murray Douglass, was published by Whirlwind Press. Her poems also appear in anthologies including Peace Is A Haiku Song, A Face to Meet the Faces: An Anthology of Contemporary Persona Poetry, and The Ringing Ear: Black Poets Lean South. 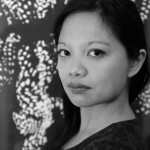 Keita is an associate professor of creative writing and contemporary American literature at Ursinus College. Rich Villar is a writer, performer, editor, activist, and educator originally from Paterson, New Jersey. His first collection of poems, Comprehending Forever (Willow Books), was a finalist for the 2015 International Latino Book Award. 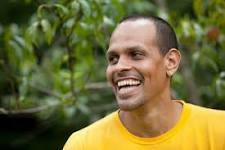 He is an alum of the VONA/Voices Workshop (Voices of Our Nations Arts Foundation) and theBread Loaf Writers’ Conference. He has been quoted on Latino/a literature and culture by HBO and The New York Times. 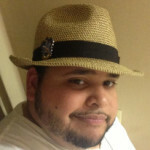 He maintains his personal blog at literatiboricua.com and is a contributor to Latino Rebels and Sofrito For Your Soul. 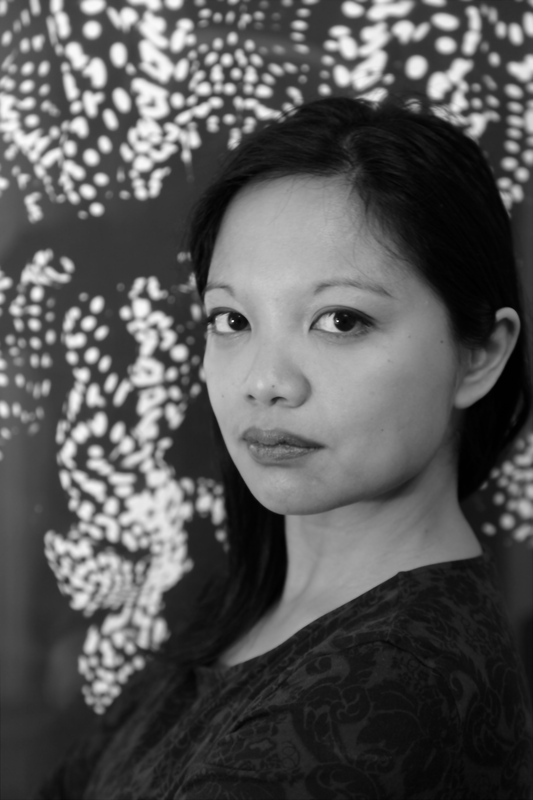 Born in Toronto, J. Mae Barizo is the author of The Cumulus Effect (Four Way Books). A prize-winning poet, critic and performer, recent work appears in AGNI, Bookforum, Boston Review and Los Angeles Review of Books. 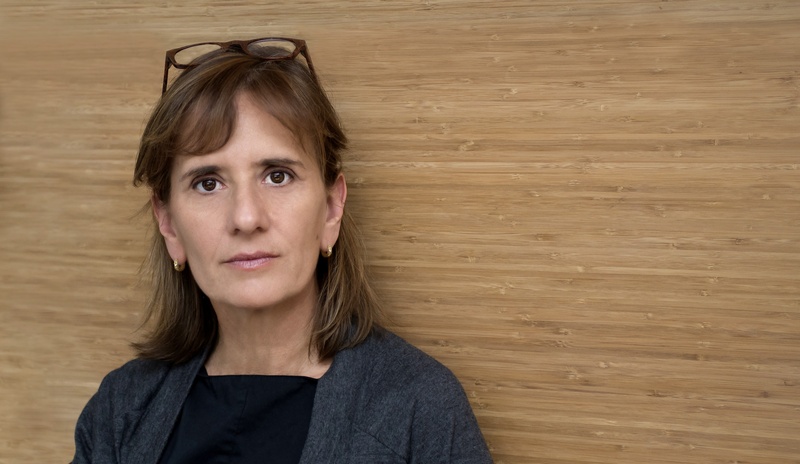 She is the recipient of fellowships and awards from Bennington College, the Jerome Foundation and Poets House. She lives in New York City. 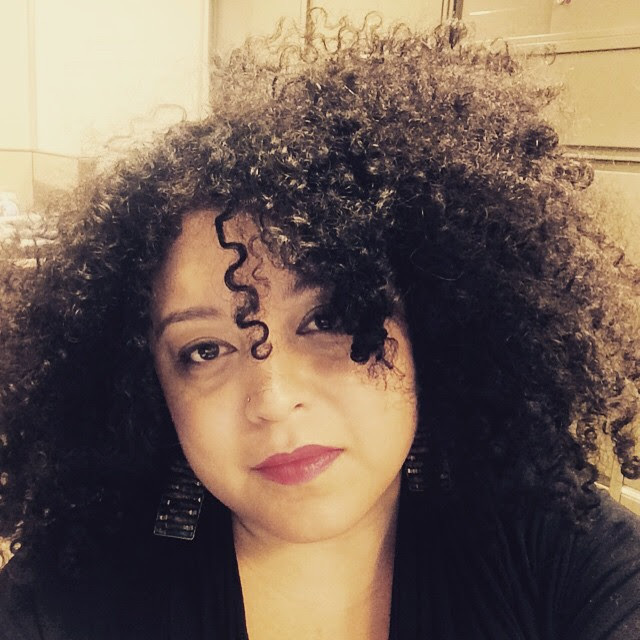 Yesenia Montilla is a New York City poet with Afro-Caribbean roots. Her poetry has appeared in the chapbook For The Crowns Of Your Head, as well as the literary journals: 5AM, Adanna, Tje Wide Shore and others. 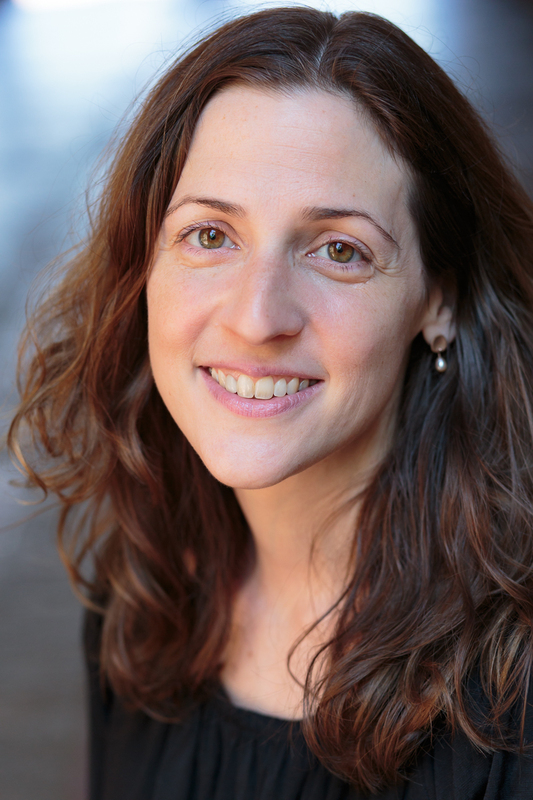 She received her MFA from Drew University in Poetry and Poetry in Translation. Her first collection of poetry The Pink Box is forthcoming from Willow Books in Fall 2015. Nov. 6–7, 2014: Two Special Events! FULL BLEED celebrates the art of the poetry comic. In the same way that full bleed printing expands to the edge of the page, poetry comics dilate across genre lines. Poetry as bleeding heart mixes with the whimsy of comics to produce work that startles and ignites. Word and image hold hands, tell each other stories, console each other, party together. 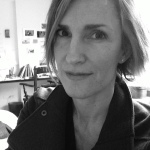 Bianca Stone is the co-founder and editor of Monk Books, author of Someone Else’s Wedding Vows (Tin House/Octopus Books, 2014), and co-author of Antigonick, with Anne Carson (New Directions, 2012). She founded the Ruth Stone Foundation in 2012 and lives in Brooklyn, NY. 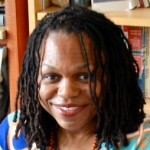 Matthea Harvey is the author of five books of poetry, most recently Of Lamb and If the Tabloids are True What are You? and two books for children. Sommer Browning‘s most recent book of poetry is Backup Singers (Birds, LLC; 2014). She is also the author of Either Way I’m Celebrating (Birds, LLC; 2011), a collection of poetry and comics, and various chapbooks. She works as a librarian in Denver. Sampson Starkweather is the author of The First Four Books of Sampson Starkweather. He is a founding editor of Birds, LLC, an independent poetry press. His most recent chapbook is Flowers of Rad by Factory Hollow Press, and he lives in Brooklyn, NY. Jon-Michael Frank has work published or forthcoming in Anti-, Inter/rupture, Sink Review, Sixth Finch, and Spork Press, among others. A chapbook of poems is forthcoming from Birds LLC, and another chapbook, of comics, is being released by El Aleph Press in 2014. Jon-Michael is also an assistant editor for the small press Birds, LLC, helps run a reading series in Austin, TX, called Fun Party, and sells illustrations about life, or the lack of it, on etsy. 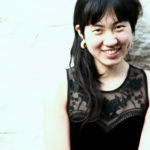 Annie Mok makes comics, collaboratively and solo, acts, and sings in the pop group See-Through Girls. She lives in Philadelphia. “Shadow Manifesto” is a three-part series that ran on ZEAL, a website spotlighting criticism and responses to video games. Paul Siegell is the author of wild life rifle fire, jambandbootleg, and Poemergency Room. He is a copywriter at the Philadelphia Inquirer and a senior editor at Painted Bride Quarterly. Kindly find more of Paul’s work – and concrete poetry t-shirts – at “ReVeLeR @ eYeLeVeL” (http://paulsiegell.blogspot.com/). Emily Ballas is a Philadelphia-based graphic designer, for now. She is an eager, curious type. Design-wise and otherwise. 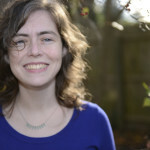 Part builder, experimenter, and storyteller, Emily’s work can be found at www.emilyballas.com. 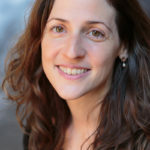 Hila Ratzabi is a poet and freelance editor. 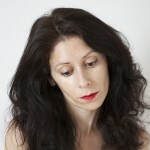 She is the author of the chapbook The Apparatus of Visible Things (Finishing Line Press, 2009). She is founder of the Red Sofa Salon & Poetry Workshop (and reading series) in Philadelphia, and the editor-in-chief and poetry editor of the literary journal Storyscape. Complimentary cupcakes from Whipped Bakeshop! Live, sliding-scale sketch portraits of guests by artist Annie Mok! October 10, 2014: Red Sofa Reading Series One Year Anniversary!